During the winter months, you want nothing more than to be cozy and warm. In some cases, you might resort to cranking up the heat to keep your home toasty. However, this can wind up costing you a lot when your energy bill arrives. 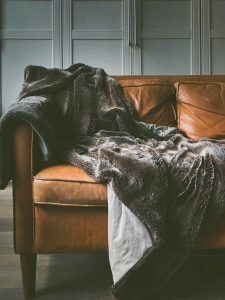 If you are looking for better ways to keep cozy during the long winter months, check out the following tips. Remember, if you need help with your heating system in Kankakee, night or day, we are here to help. We provide everything from furnace repair to new system installations. One simple way that you can keep yourself warmer during the winter months without adding to your utility bills is to layer your clothing. Perhaps you usually come home, take off your coat, and relax in your house in a single layer of clothing. Investing in a quality robe or comfortable thick sweater can go a long way in keeping you cozy in your home. You should also think about other ways you can layer your clothing. Putting on a pair of thick socks over your normal thin, summer socks can help you stay nice and warm. Layering up clothing doesn’t cost you anything and can help you cut down on how much heat you need to use in your home. If you feel the coldest at night, it might be because you don’t have enough blankets on your bed. Adding on a few extra comforters or investing in a nice down blanket can go a long way in improving your heat. These blankets will make your room cozier and can allow you to keep your heat lower at night. Make sure that everyone in the home has enough blankets to ensure no one wakes up chilled. Pair additional blankets with layered clothing and you will be extra toasty. Do you have some quilts or other throw blankets on your couch? If not, add some extra blankets to this part of your house. Next time you sit down to binge on Netflix, you can wrap up in a few blankets to stay extra warm. This will ensure that you are comfortable without cranking up the heat. Drinking something hot can help you feel warmer, even on a blustery day. Put on a pot of tea next time you get home and pour yourself a nice steaming cup of something delicious. Teas will not only help to keep you warmer, but they will also contribute to your health. Adding a hot cup of tea to your daily ritual, whether at night or in the morning, will keep you toasty and your body healthy. Next time you settle into the couch and feel a bit chilly or climb into your bed at night and wish it was 10 degrees warmer, consider inviting your furry friends. 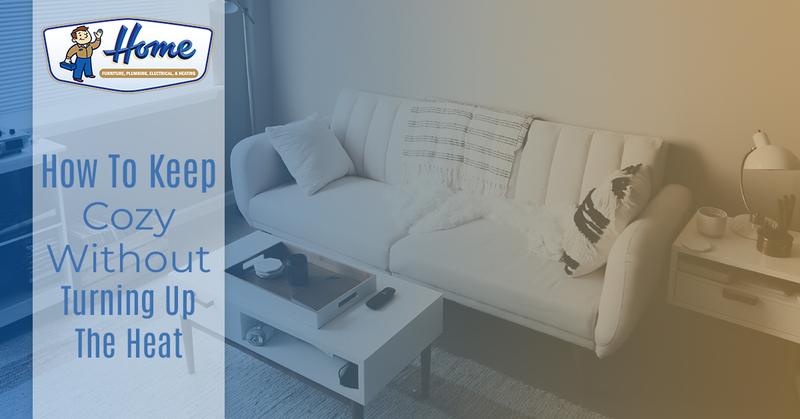 Sleeping with a dog in your bed or allowing them on your couch during a movie marathon can go a long way in keeping you warm. In fact, did you know that the phrase, “it’s a three dog night” originates from the idea of how many dogs you would need to sleep with to stay warm? Our furry friends are excellent heaters. Not only will you and your pooch be warmer when you snuggle up, but you will improve your bond. Dog’s are pack animals and sleeping with their pack or cuddling on the couch is a natural concept. Finally, while this one isn’t as easy as the above ideas, you might be able to improve your home’s warmth through a simple HVAC tune-up. When was the last time an HVAC tech inspected your furnace? If it’s been over a year, it might be time to have it tuned. A heating system that isn’t properly maintained will become less and less efficient. This will make it hard to keep your home warm, especially during the depths of winter. Changing your air filter: A clogged air filter can cause your heating system to work harder to keep the home warm. Simply changing this out can lead to improved energy efficiency. 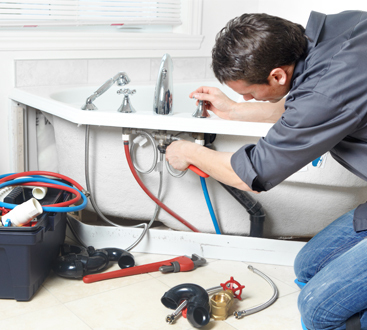 Replacing old parts: There might be one single part in your heating system that is at fault for your heating problems. An old part that isn’t doing its job can put extra strain on your heating system as a whole. Installing a new thermostat: Modern thermostats are better at regulating the heat in your home. From smart thermostats that learn your patterns to ones you can control from outside of the home, a new thermostat can help keep your home cozy year round. Interested in heating services in Kankakee? We can help. 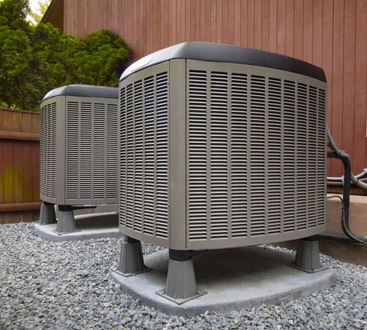 Contact us today for a full system tune-up.